The purpose of school zones is to alert drivers of the presence of children coming and going to school in order to promote a safer environment for them to travel through. Some drivers traveling through these zones choose not to respect school zone laws while others are distracted behind the wheel. Over 25,000 children suffer injuries each year in school zone auto accidents and these incidents cost the lives of 100 innocent child pedestrians annually. We owe it to our children to teach them how to travel safely when walking near or crossing roads and to slow down and pay attention when driving in school zones. Rosenfeld Injury Lawyers LLC represents children and adults hit by vehicles in Chicago school zones. 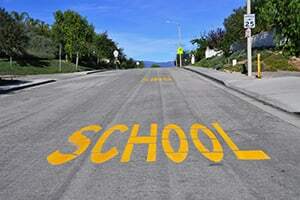 We invite you discuss your school zone pedestrian accident case with a lawyer who has experience winning these cases. The consultation is free and there is only a fee charged upon a successful outcome for you. While our firm is headquartered in Chicago, we represent clients across Illinois who have been hit by cars in marked 'school zones'. Nearly seven in ten drivers surveyed have admitted to driving while distracted by a phone call, text message or an electronic device. Distracted drivers are three times as likely to be involved in an accident and studies have likened driving while speaking on a phone or sending a text message to driving drunk. Drivers who consumed alcohol actually tested better on a road course than those driving while using a cell phone. The ways in which distracted driving can contribute to an accident include the following. Distractions make it more difficult to be aware of surroundings. Some distracted drivers are not even aware that they are in a school zone prior to involvement in an accident with a child pedestrian. Distracted drivers may drive at unsafe speeds or be unaware of speed limits. The reaction time of a distracted time runs parallel to that of an intoxicated driver or one who is operating a vehicle while fatigued. Texting or dialing a phone forces the driver to take his or her eyes off the road. In the time that it takes to check a text message, type a response or dial a phone number, a child could pass in front of a vehicle. Most children are ignorant of or do not understand traffic laws and providing education on the subject has been proven to be an effective means of reducing their likelihood of being involved in an accident. When speaking with your child about safe travel, it is important to cover these key areas of focus. 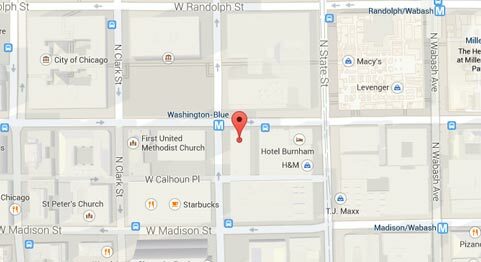 Where and how to cross the street in a safe manner. Most children simply follow traffic control devices or the instructions of crossing guards and they should be encouraged to perform their own review of their surroundings before crossing the street. As a driver would, children should look to the left, back to the right and to the left one additional time before crossing and all crossings should be made at a crosswalk. Many drivers are distracted or in a hurry. This means that children should be instructed never to assume that drivers are aware of their presence or that they will stop. It is always best to look drivers directly in the eyes and to wait until a vehicle comes to a stop before walking in front of it. Other children may not be educated on pedestrian safety. Children should not simply be aware of themselves but of others around them as well in order to intervene if another child is about to be placed in harm’s way. Children should not endanger themselves to do so, but when possible they should prevent others from walking in front of moving vehicles and crossing where they shouldn’t. The intent of implementing school zones was to provide children safe passage from their homes to schools but most parents and children incorrectly assume that these zones work as they were designed to. Taking a proactive rather than reactive approach is the greatest method of ensuring that your children will be aware of and avoid the dangers that they may encounter on the way to and from school each day. Additionally, it is important to review your own driving habits to determine whether you are contributing to the problem or a part of the solution. Use these final tips as a guideline. Always assume that children are around in the event that a child runs into the street from behind a building or object that obstructed your view. Slow down. This will improve your reaction time and reduce the severity of potential injuries should you be involved in an accident. Turn off your electronic devices while you drive. The phone calls and text messages can wait, especially if the delay in responding saves a life. Were You or Your Child Injured in a Pedestrian Accident in a School Zone? Rosenfeld Injury Lawyers LLC has successfully represented children and adults who have been hit by cars, buses and other types of vehicles in school zone areas in Chicago. Call us anytime for a free consultation with an attorney who has worked on cases similar to yours.